DIE HARD: Fox Digital Entertainment today released the official DIE HARD iOS game in support of the upcoming “A GOOD DAY TO DIE HARD” feature film. You play as Jack McClane as you “blast your way out of Moscow’s mean streets and travel to the radioactive wasteland of Chernobyl.” The developer called the game an “endless shooter”– a combination of “the “endless runner” and “first-person shooter” genres. It’s available now for 99 cents. With DIE HARD, the mission was to develop an app with the gameplay and attitude to match the groundbreaking nature of the DIE HARD franchise, its longtime hero John McClane and new protagonist Jack McClane. 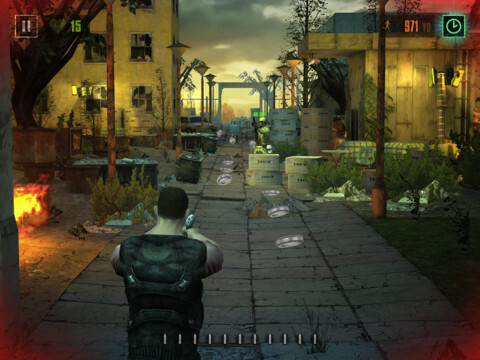 In a twist on the endless runner genre, where the player runs from danger, DIE HARD equips the player to face the action head on, running towards foes and confronting them from a first-person perspective. Autodesk 123D Creature: Released today as a partnership between Autodesk and online 3D printing service Sculpteo, 123D Creature is an app that allows users to create 3D characters on their iPad and receive physical models in the mail via Sculpteo’s 3D printing service.